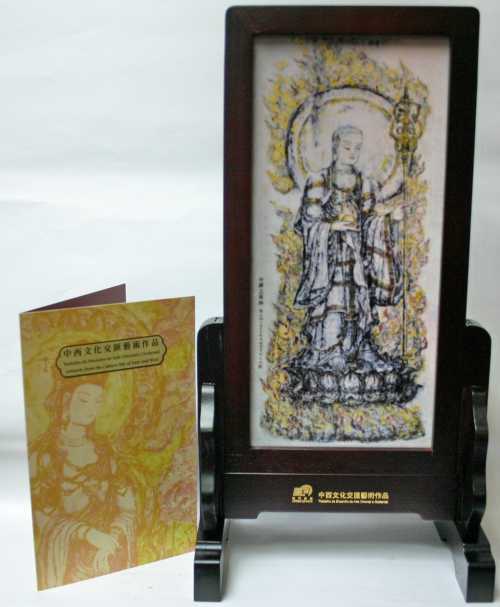 The largest single-piece double-sided porcelain plate painting in the world created by Macao artist Mr. Sou Farong is selected for the stamp designs, the first stamp design depicts the back of the painting “Bodhisattva Ksitigarbha” while the second stamp design depicts the front of the painting “Bodhisattva Avalokitasvara”. 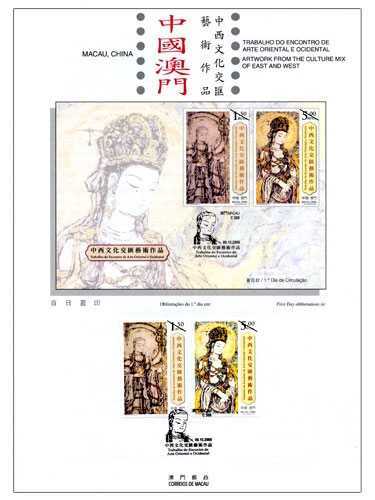 Besides the above philatelic products, the Gift Set of Porcelain Plate Painting with Stamps with the theme “Artwork from the Culture Mix of East and West” will also be released, a prestigious gift box contains a double-sided mini-porcelain plate of the painting in the scale of 1:100 and a presentation pack with two stamps of the same theme, priced at MOP380.00. 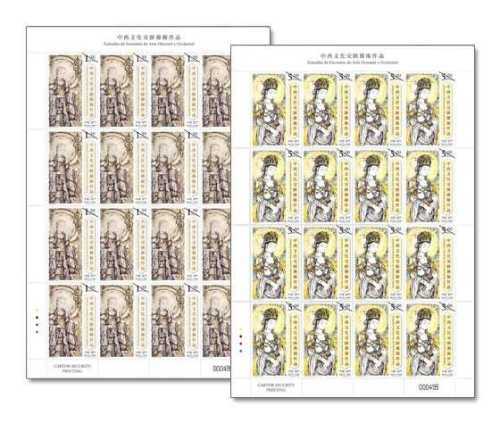 It will only be available for sale at the Philatelic Shop of Macao Post Headquarters. 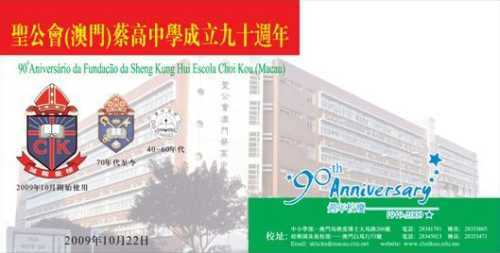 Limited quantity! 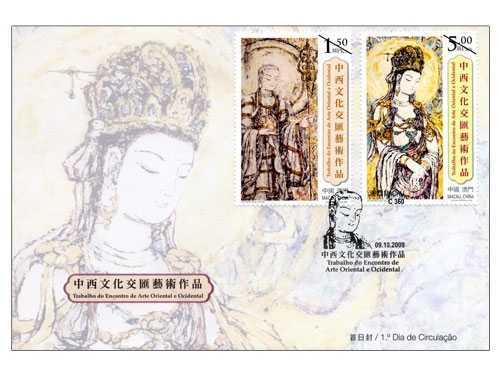 Get the opportunity to add value to your collection! 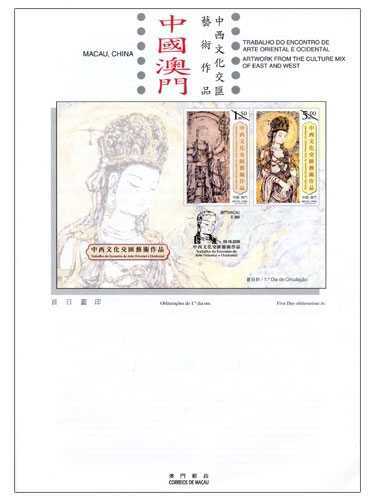 The composition of the stamps are designed by Macao Post, and the text for the information brochure is written by Ms. Chio Ieong. 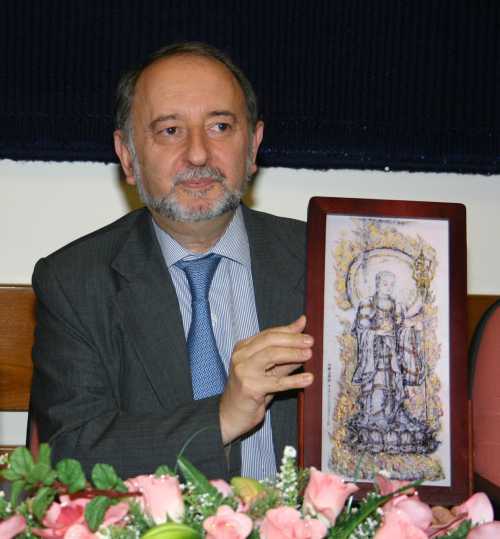 This is the ninth issue in 2009. 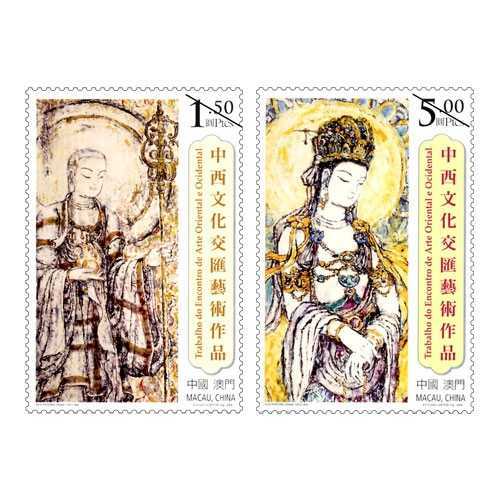 The issued stamps are as “Bicentenary of the Birth of Louis Braille” on 04/01/2009; “Lunar Year of the Ox” on 08/01/2009; “Opening of Kun Iam Treasury” on 20/02/2009; “Traditional Instruments II” on 01/03/2009; “Mainland Scenery III” on 08/04/2009; “120th Anniversary of the International Labour Day” on 01/05/2009; “Seng Yu – Idioms III” on 01/06/2009 and “60th Anniversary of the Founding of the People’s Republic of China” on 01/10/2009. 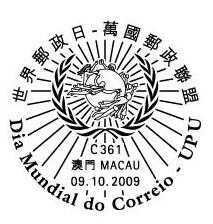 Macao Post announced that a Temporary Post Counter will be set up at our Philately Shop located at Macao Post Headquarters and the Communications Museum on 9th October 2009 providing the commemorative cancellation service for the “World Post Day – UPU”. 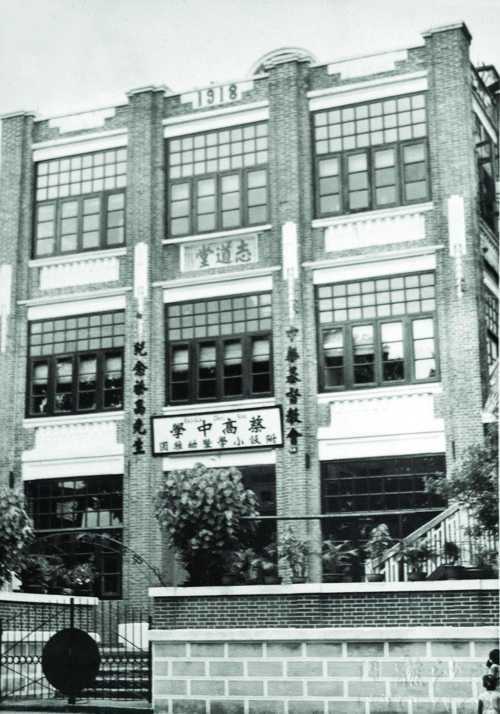 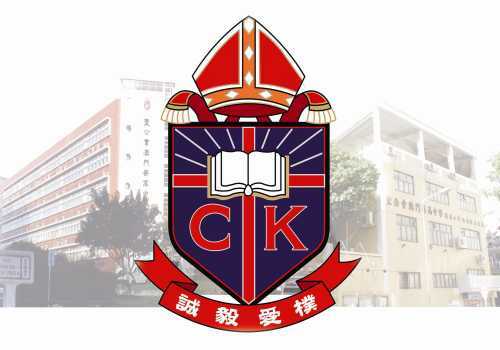 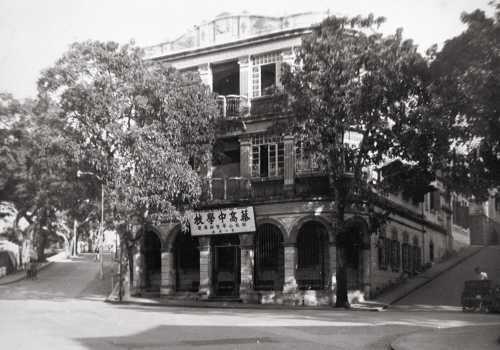 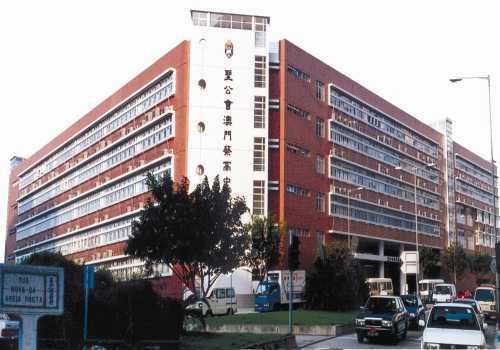 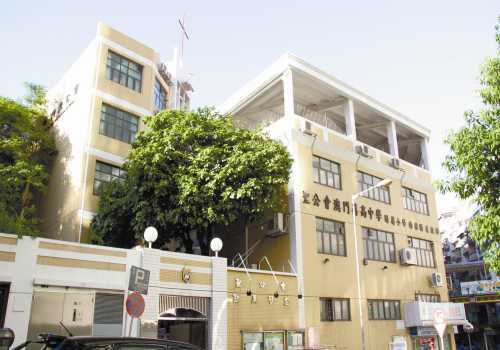 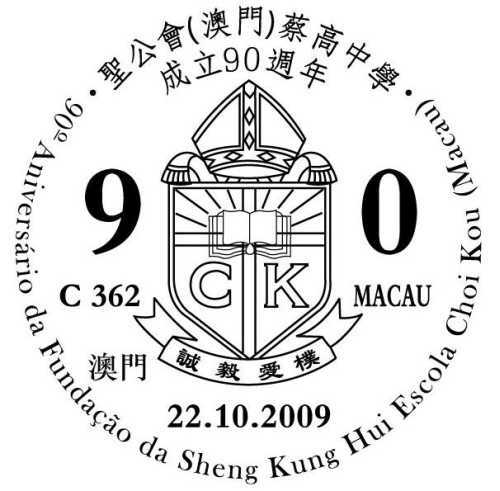 To celebrate the 90th Anniversary of the Founding of the Sheng Kung Hui Choi Kou School (Macau), Macao Post announces that a Temporary Post Counter will be set up at Avenida do Dr. Francisco Vieira Machado, n° 266, at 10H00 to 17H00 on 22nd October 2009 providing the commemorative postmark cancellation service for the “90th Anniversary of the Founding of the Sheng Kung Hui Choi Kou School (Macau)”. 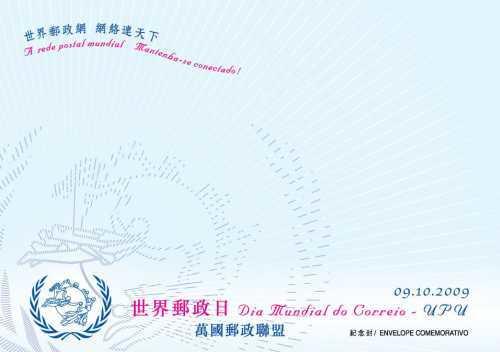 A commemorative envelope and a set of postcard (5 pieces per set) priced at MOP2.00 and MOP15.00 will be issued, together with the various philatelic products available for sale during the above activity. 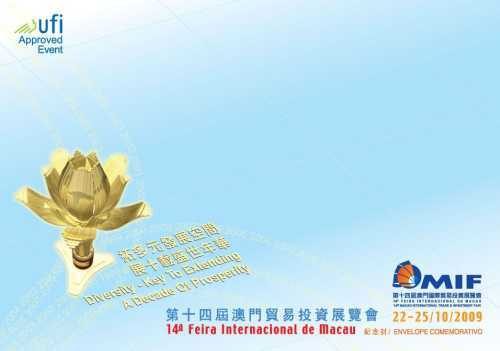 Welcome to visit and collect Macao Stamps. 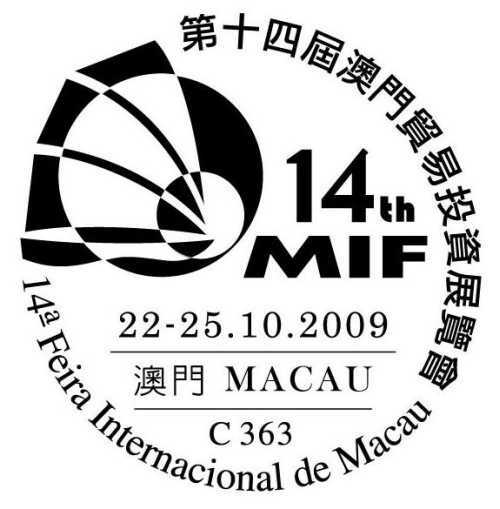 To cope with the 14th Macao International Trade & Investment Fair, Macao Post announced that a Temporary Post Counter will be set up at Venetian Macao Convention & Exhibition Center, on 22nd to 25th October 2009, providing the commemorative postmark cancellation service for the “14th Macao International Trade & Investment Fair”.